Dil Chahta Hain because, “Tumse na Ho Payega” generation we are! Little did Farhan Akhtar planned a travel industry boom while directing his debut masterpiece “Dil Chahta Hain”. We are the whole lot of Indian Blokes who grow up watching Bollywood while falling in love with the next door guy or playing the sad tunes after a grueling break up and (used to) fantasize romance dancing around the trees, in the rains. No doubt Ramadhir Singh said, “Tumse na ho Payega”, (in gangs of Wasseypur, a different movie, I shall tell you about it in detail when I shall be tracing down the origin of the river Damodar, this winter). But Farhan had showed long back the real life in reel and okayed it to laugh out loud at the epic fails of one night stand efforts. Friendship is transient beyond daily communication and is not free from its own malice. But love triumphs. And a real friendship aspired to drive a Merc through the lush green and serpentine highways of Goa. 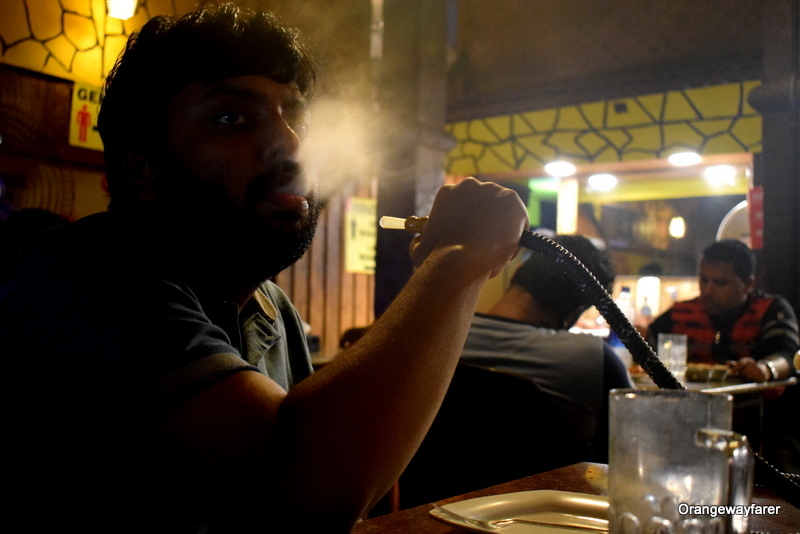 Instantaneously, Indian youth found a new destination to bromance. Baga beach, Goa! Rajshekhar Basu’s Mahabharata has truncated much of the actual version however a bleak reference to Gomanta, as I remember, magnified its beatitude. 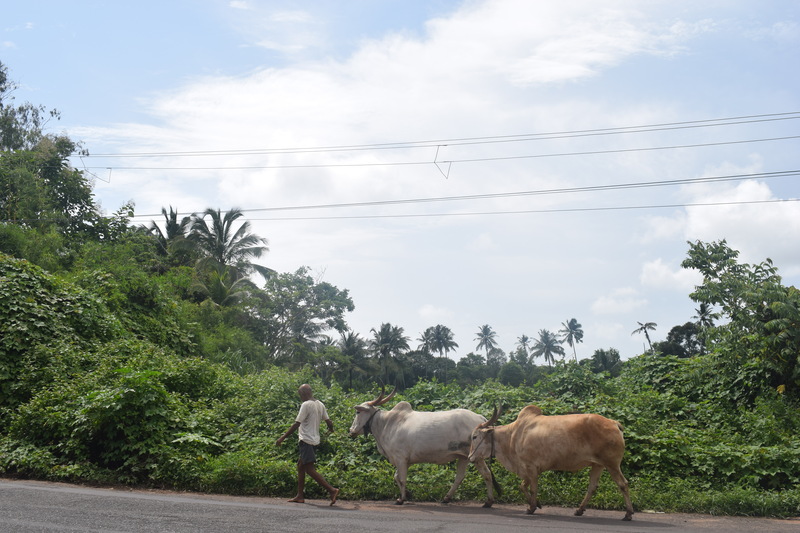 Also referred to as Govapuri, the land retains its bovine populace, hostile to photography, in abundance. This monsoon, we lived in a tiny hotel named Casa Cubo. 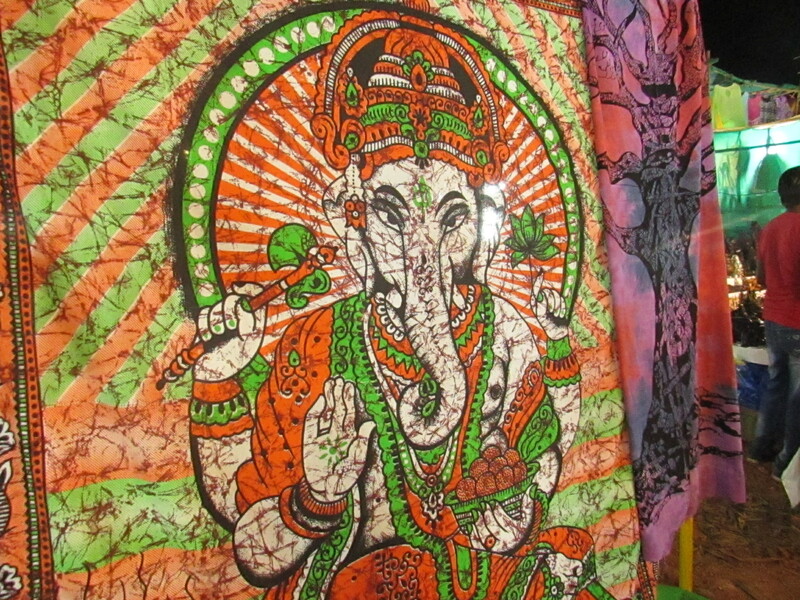 The owner is an old Goan couple whose children live abroad. An immediate connection with me as my brother and me have left home for good and settled away from home. Relief is, we still do not require Visa for home visits. The owner is an old lady in the 60s. Her husband deceased a fortnight back. Sorrow loomed large in the house at every corner. Ensuing days had us made merry and friendly bickering occasionally with the friends. Eventually the frown on the lady’s face changed to an adorable smile, the eyes were consenting. We had a happy evening chattering for long hours. She recalled the days of youth with a fondness I could connect with my grandma’s recalling the same. The fifteenth of August had Goa celebrating with an Indian flag sparsely, mainly at the Indian Oil petrol Pumps. She assured us, Goa celebrates liberation day on 19th December every year. The arrival of Vasco Da Gama had started a colonial age that lasted for around five centuries. The first medical college of Asia, structured on an European model bears testimony to the fact. Of course, as a traveler the churches with exquisite golden inscriptions shall be on your bucket list. as the night progressed, the old lady helped up point out the differences between coconut Feni and cashew Feni. A few shots of neat feni had compelled her husband to drive to the wilderness of Dudhsagar with the young woman. The memory of a hysterical forest and a white steep fall limn bright in her eyes. “Second World War? No, nothing happened to us.” She announced! 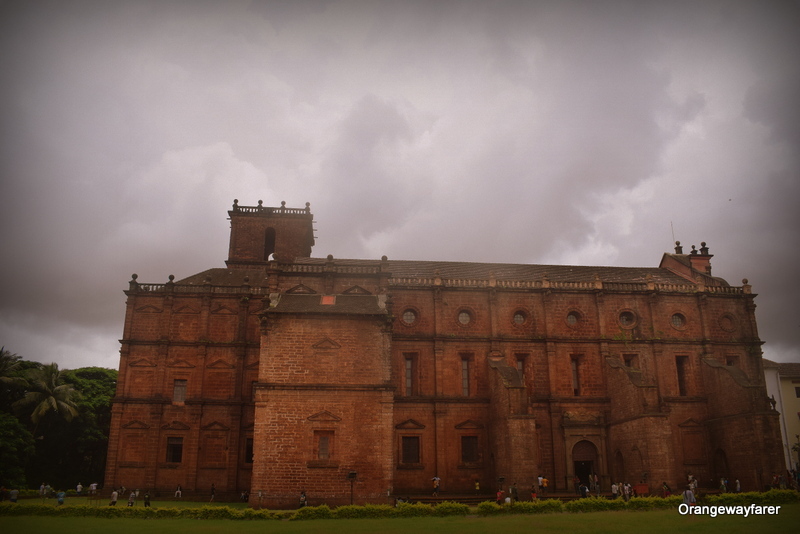 The first medical college of Asia, structured on an European model bears testimony to the fact. 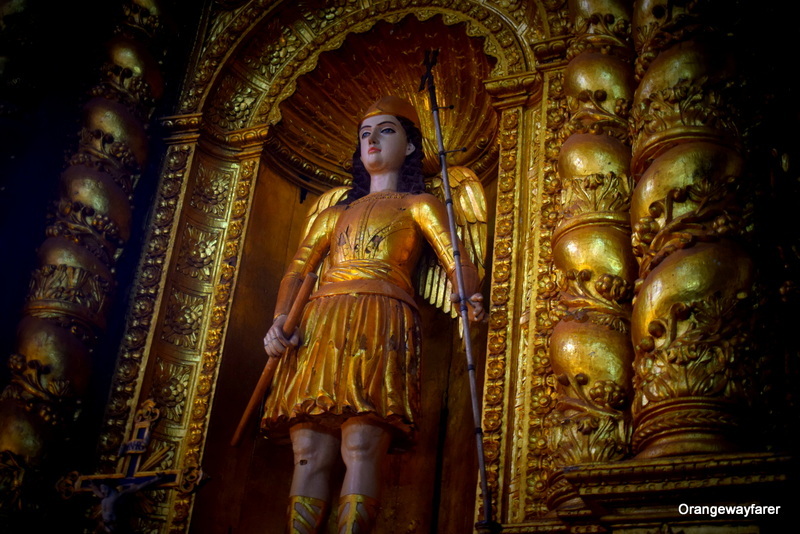 Of course, as a traveler the churches with exquisite golden inscriptions shall be on your bucket list. It will probably take me decades to decode how this tiny state by the western Ghats became close to home for a bulk of Russians. So much so, even Vladimir Putin confirmed his desire for a Goa holiday. The beaches of Morjim has been rechristened as little Russia. 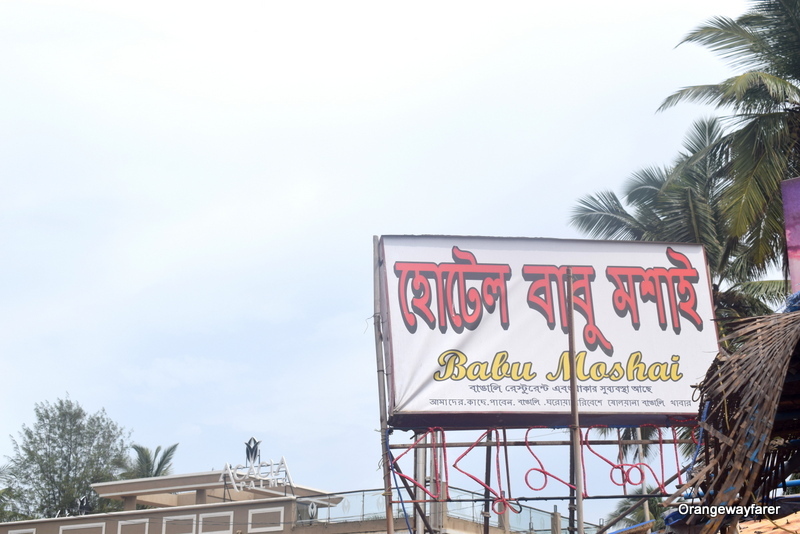 The hotel boards, placards and food are all inviting them in Cyrillic , cheap charters fly from Dabolim as I am posting this blog! The Russian rave parties are notorious for psychedelic nature. You should follow few creepy account in Instagram where Indian men pose with Russian women stating “My Girlfriend”for a good laugh! If the incessant party vibes and beach stories of Goa tire you, you may want to delve deeper into the book Goa: A Daughter’s Story by Maria Aurora Couto. The brilliant book is a personal memoir of the land transcending from Portuguese vibes to the modern Goa. 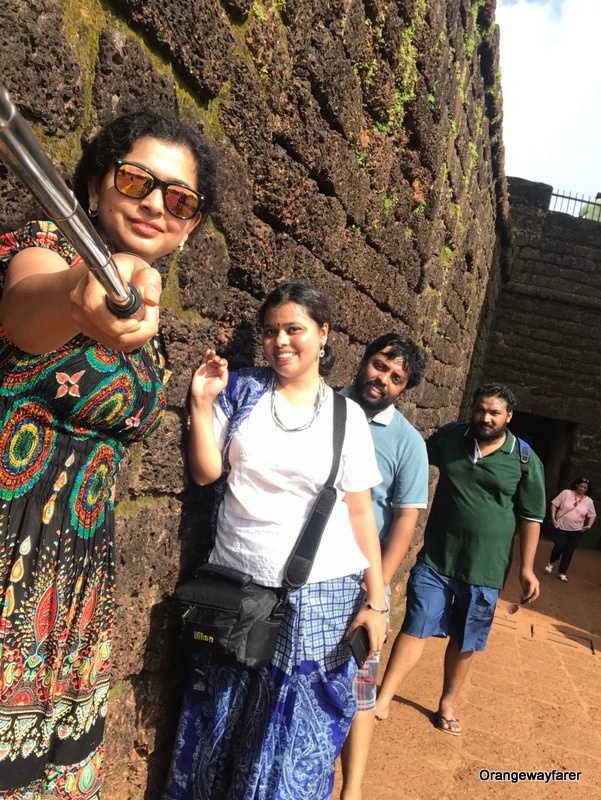 In my first visit, the sunny, bright, slight chill in the air Goa marveled me with the laid back lifestyle. So it is possible to actually close your shop on a Sunday because it is Sunday! It is possible to sit by the street and sell few vegetables, namely tomato and beans and may be few eggs from the country hen! You can wake up one morning, rent a scooty, pack some beer bottle, bread and butter and good book and laze around by a beach! The whole day! Wow. Life is good. The sky at the back! My first stay was in a villa near the Candolim beach. Candolim falls on the northern side of Goa, crossing baga beach. the beach is clean, sparsely dotted with shacks and looks beautiful as Sun descends. 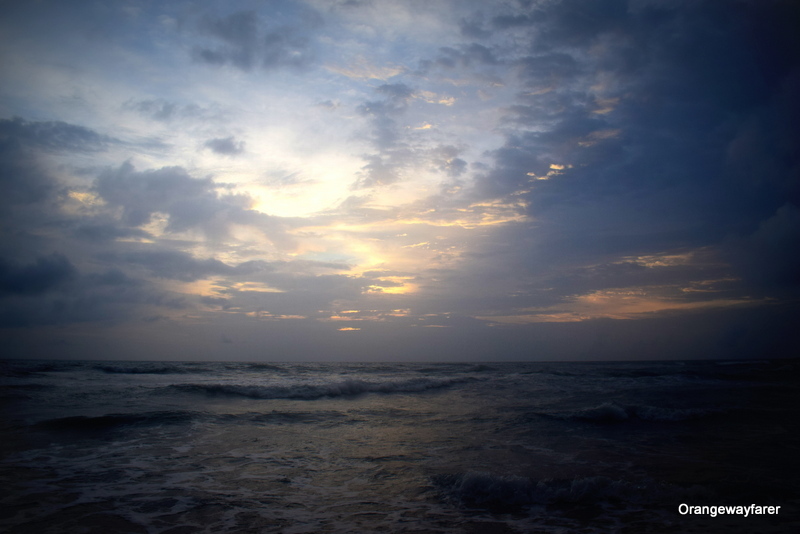 A quick bike tour had led us to the famous beaches of Anjuna or Vagator. On the way back, we took a break to visit the flea market as well. Things are priced reasonable, specially the silver jewellery. Come August, things changed drastically though. Limited access to the beaches and a whining sky could mar all your plans if you happen to prefer exploring a lot of places. 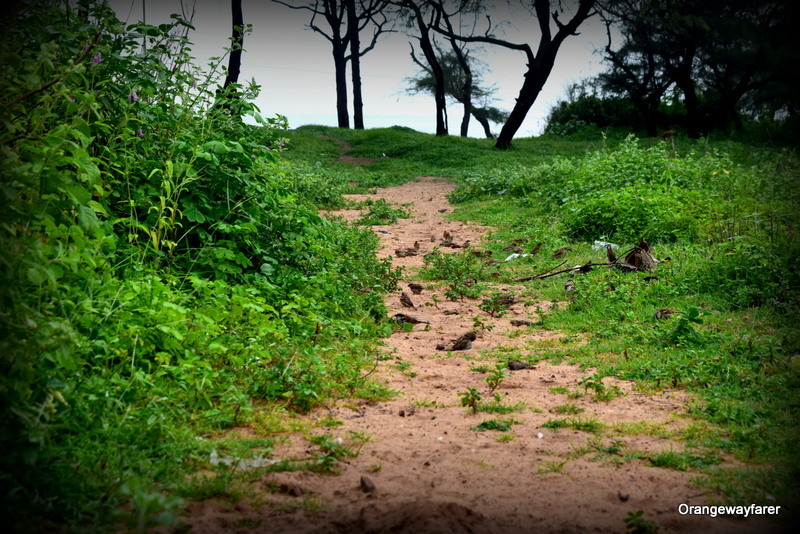 However if you take a step back and look around, trust Konkan coast to surprise you with bounty of nature. 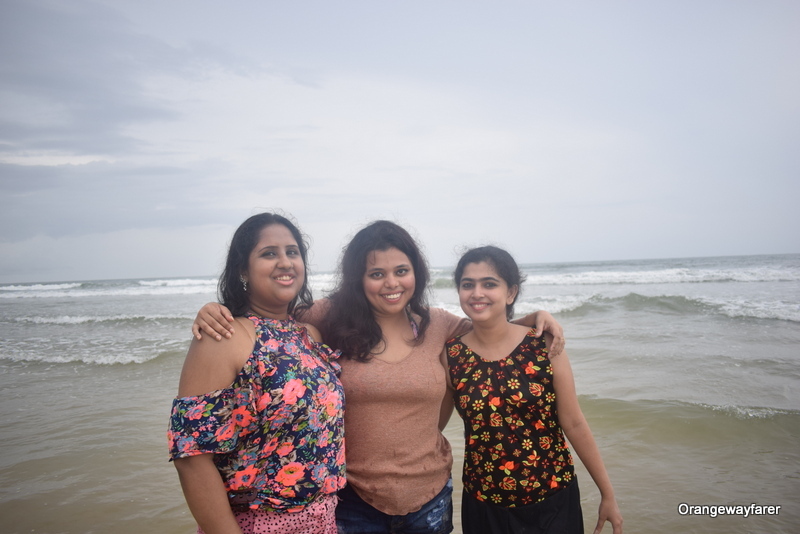 We secured a stay by Baga beach. An evening stroll would take us to the markets nearby. 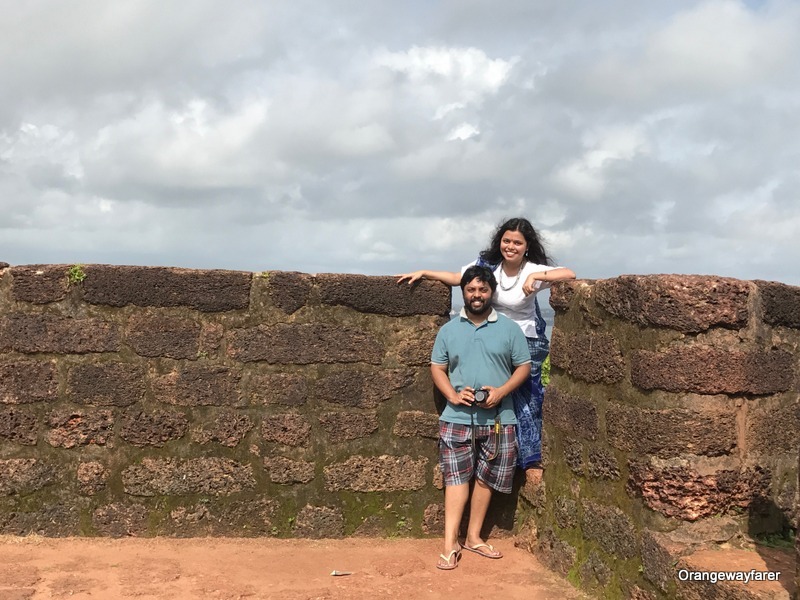 We hired a car to visit Colva beach and rented scooty to explore the Aguda fort. Aguda Fort has got a spooky unfinished hotel structure at the back, on the way to the old prison. A fig on the way, good luck! 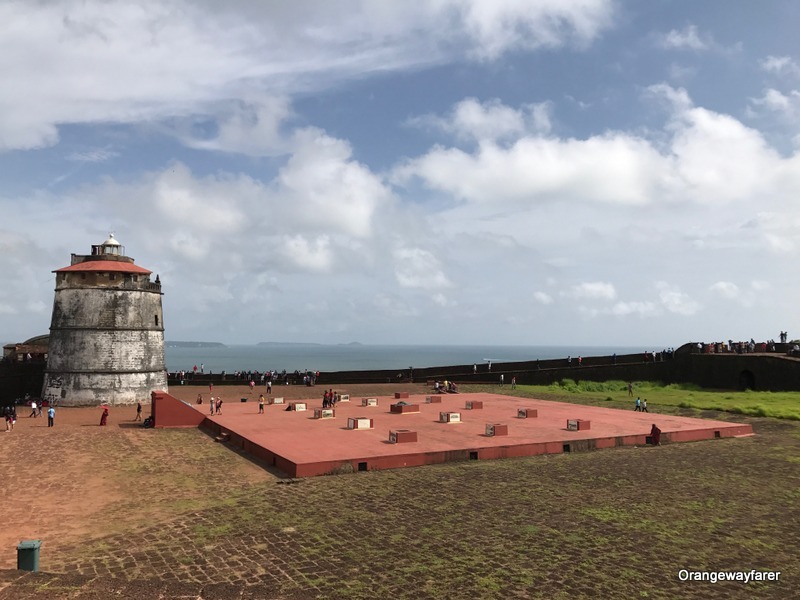 Responsible Tourism is hardly a forte for Goan beaches. Save for few of the nascent beaches down south, the famous beaches of Goa are crammed with half the nation of India (of course, exaggerating, but remember we count in billions hence a small fragment of the populace will bring havoc). 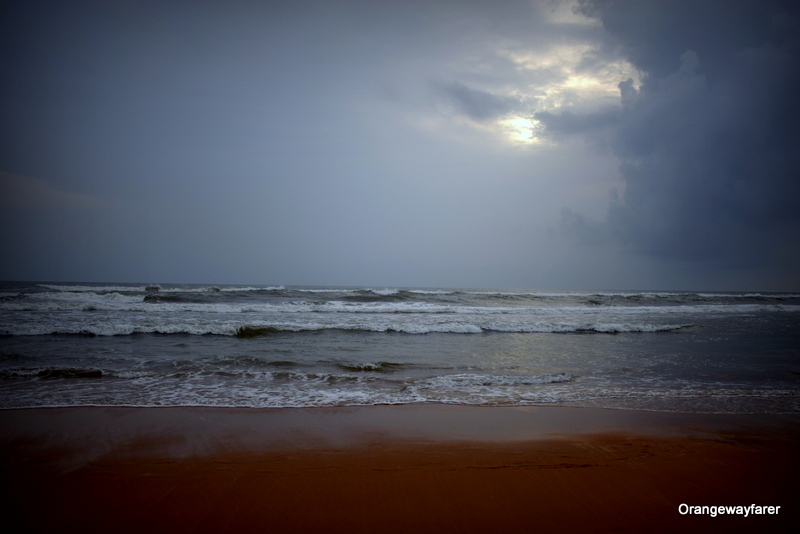 Monsoon however is a breathing season for the beaches. There will be less litters around. Shacks will be reduced to the straw structure only. The sea will swell up, road and tease you. I tell you to grab a beer before you call it a quits. There will be bamboo ladders and officials in vigil with a bell. Ignore them. Heightened senses now? Head to the water. Let the water play with you, let it float you for sometime, then throw away like a ball, give you few scars with the help of rough sand powder, and finally show ou the sparkle as clouds disperse. There is a word in Bengali “Bhoyonkor-Sundor”(Grotesque and beautiful at the same time). 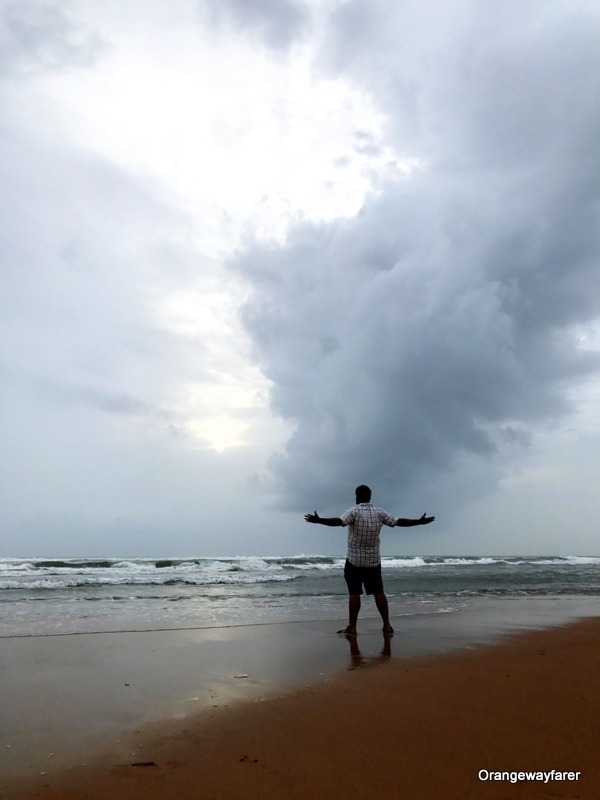 That is Goa Monsoon for you. 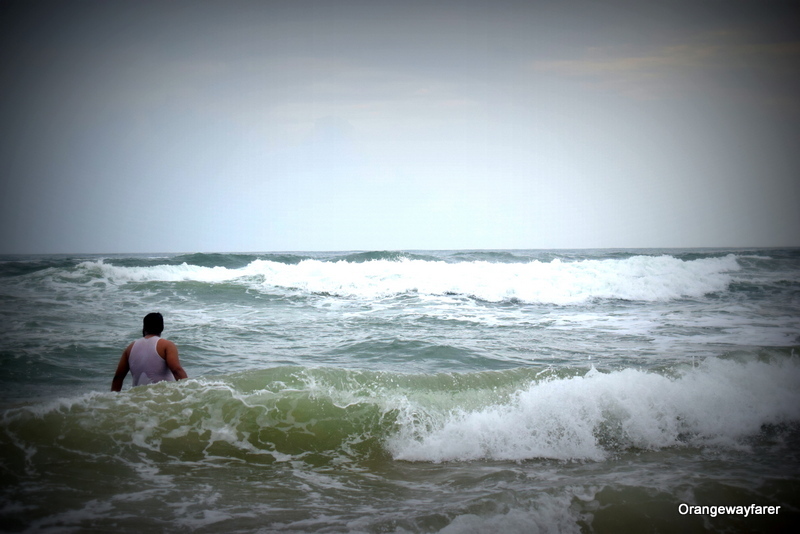 Be very very careful with the monsoon sea that Goa is! Romancing the coastal Goa is incomplete without a stroll on the sprawling paddy fields. 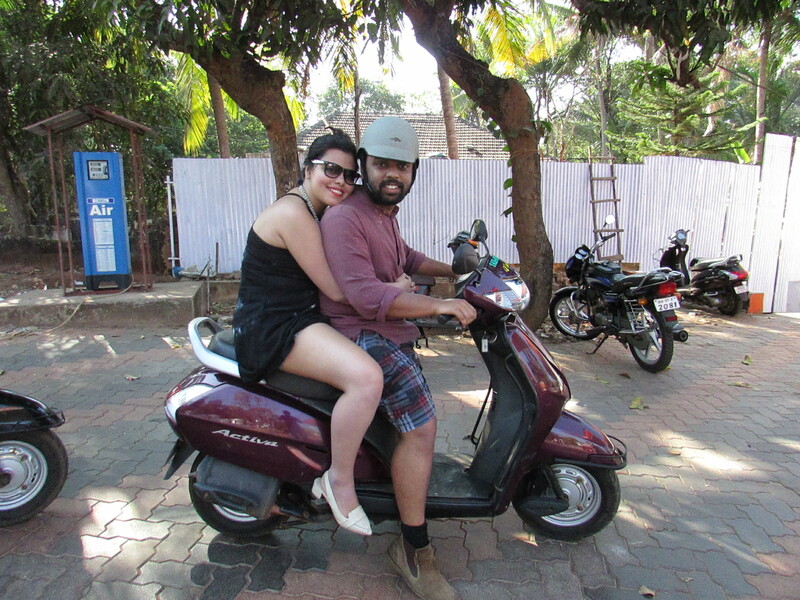 Ride through your scooty as Shivya did or wayfare. A cherishable memory it is. The flowers, the aroma in the air, the pollen and petrichor: all of these add up. INR 1500 ($22) by flight/person, from Bangalore. Please note, the prices keep changing basis on season and availability. I have seen December flight prices to Goa at a whooping 13k. No wonder why Indians flock to Bangkok en masse. If you have the luxury of time, I urge you to take the train journey back home. Although back home here strictly denotes Bangalore, and any city down south through the Braganza Ghat section of Indian Railways. Scenic rail tracks will let you take a glimpse of the Dudhsagar falls. The view is particularly splendid during monsoon downpour. Probably one who did justice to quarditier waterfall in pencil sketch as the nineteenth century receded was Antonio Lopes Mendes. 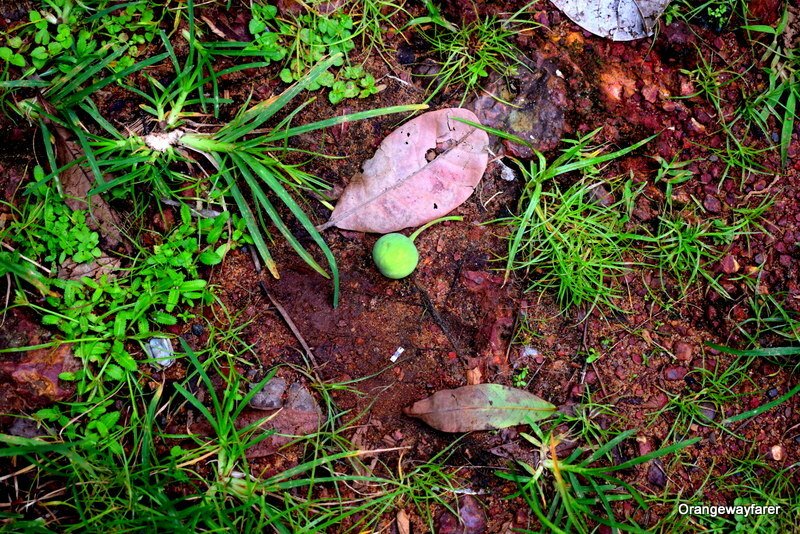 DSLRs can never instill life in nature, the picture re instates the fact. The night train will cost you around INR 400 ($5). Traveling in the Railways inevitably comes with the perks of relentless binging on snacks. However that story may wait. 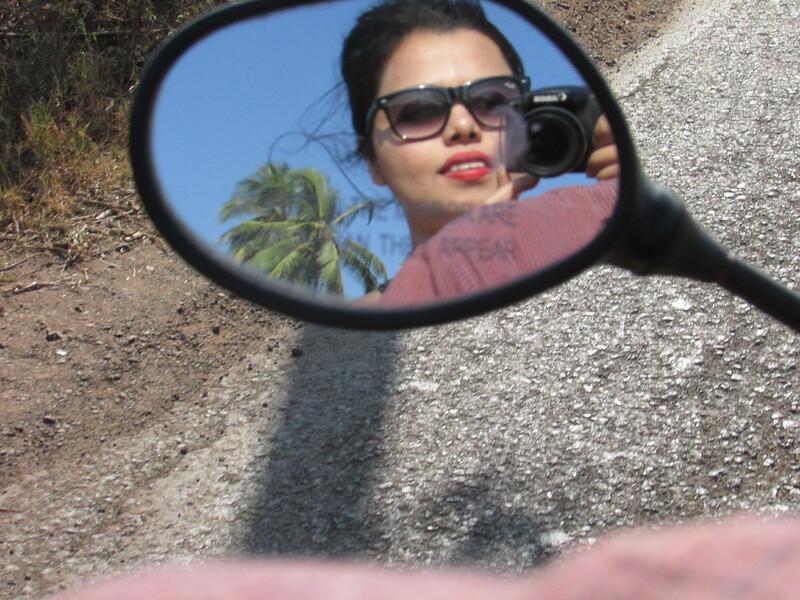 When in Goa, make no mistake, hire a scooty. It will charge you INR 300 ($ 4) on a good day. Fuel it up and scoot around from the north to south. Traffic rule is rather relaxed in the state provided you do not bump into a human or a cow. Please refrain from riding when intoxicated. A 7 seater car with a chauffeur will charge you anywhere between INR 200/4000 ($ 30-60) depending on the distance. We traveled from Baga to Colva (11am to 7 pm). 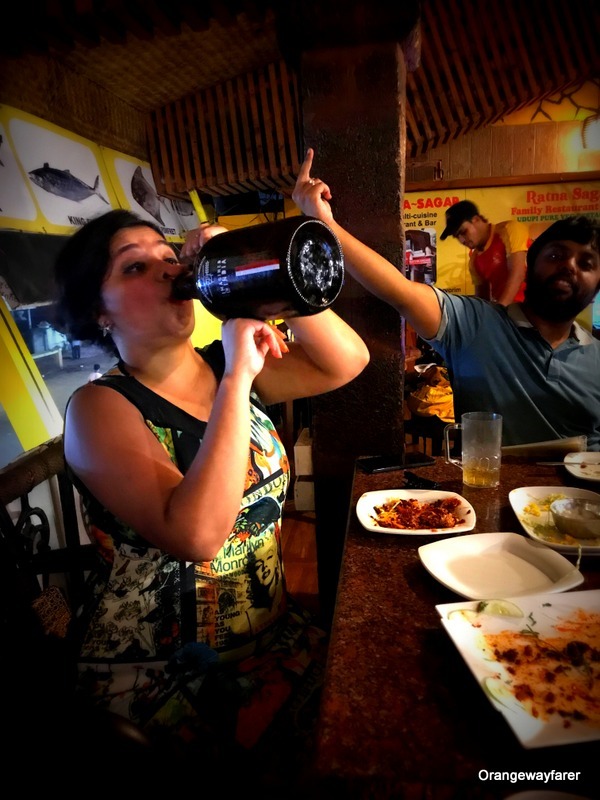 While sun, sand, beer and fish defines the state in juvenile minds, be assured of the fact that alcohol is exempted from tax and can be procured in abundance. We brought back 4 liters of whisky for home as well. A decent post wine bottle will come for around INR 100 ($1.5) while cashew feni, the Goan nectar (for the uninitiated, a country liquor) can be availed for INR 500 ($7). The packaging is quirk and worth an addition if you are a collector. 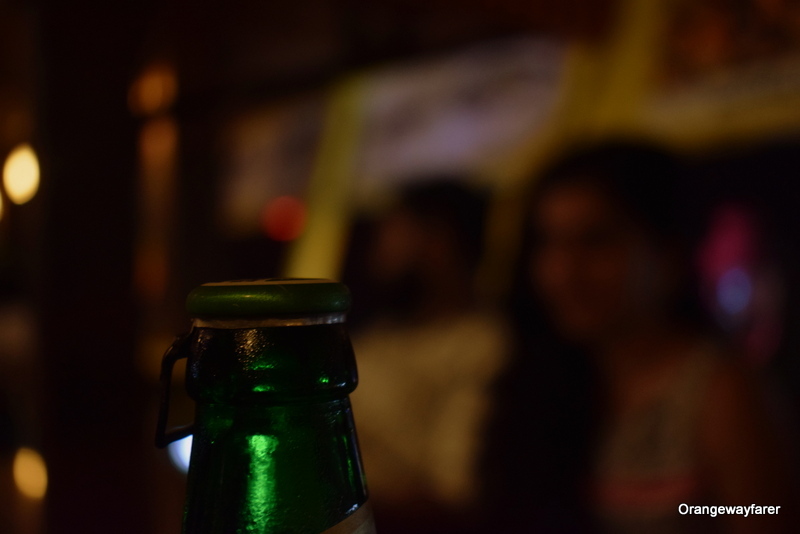 Drink responsibly since Goa serves alcohol in cheaper rate, Tax exemptions! Dining at Goa can be little tricky. The humble shacks will allure you with the karimeen and lobsters and suddenly produce a bill unprecedented for the stature of a shack. If you want to keep it friendly to your budget, explore eateries off main road, in the alleys. 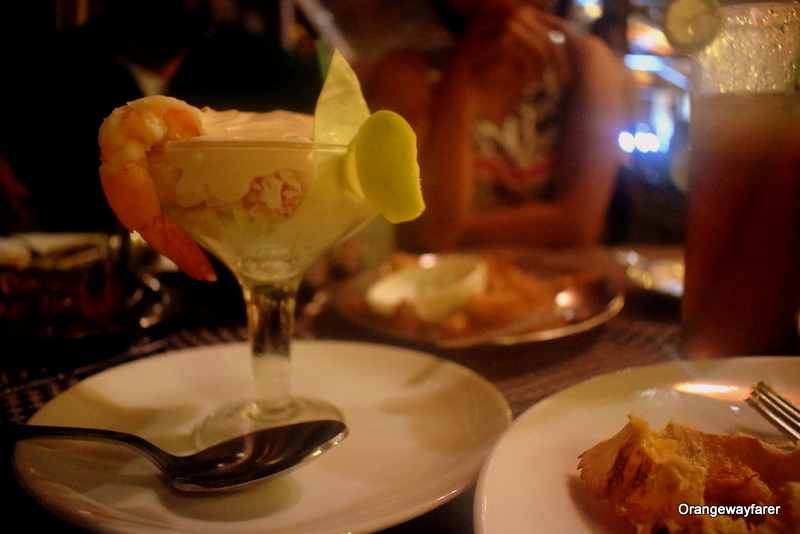 They do not compromise on freshness of the ingredients, just serves the fine dishes in a compromised ambience. For splurging, head to Thallasa, LPK, Brittos (visited none but heard so much about them, the crowd puts me off). We have extensively used airbnb and Casa Cubo for our stay. 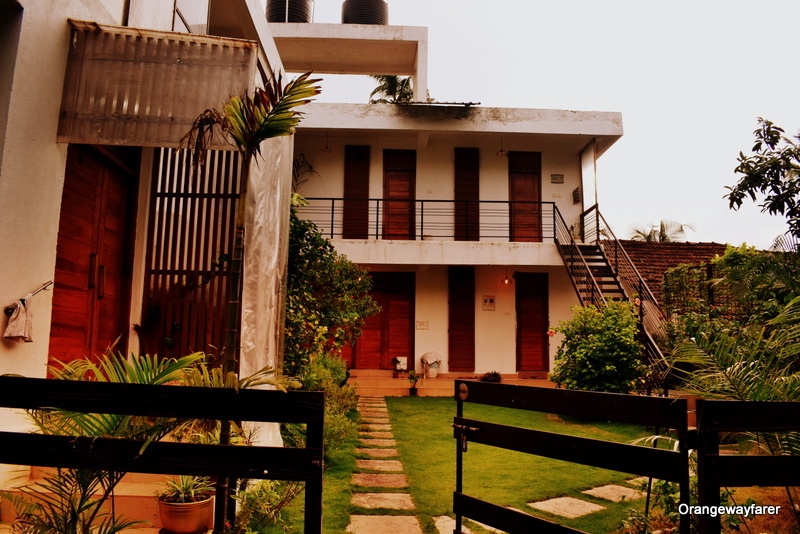 Casa Cubo is a small little hotel by the Baga beach. Except for the prized location and a genial host, the hotel lacks in services aplenty. A sea view room can cost you INR 2500 ($ 35). Also note, you will not be served breakfast. Room is cleant every alternate day. You have a pretty little garden surrounding. Other miscellaneous expenses (read shopping souvenirs) shall cost you anywhere between INR 200 to INR 500 every day. I did not buy anything, hence incurred no cost. Also I stick to heavy bargaining method (Flat INR 100 for each and every thing which is the shop keepers’ disdain).